Landscape Photographer of the Year is the publication that features the winners and other commended entries from renowned photographer Charlie Waite’s Take a View competition. The contest is run in collaboration with the AA, who publish this book. Both amateur and professional photographers may enter, and they do not have to be UK residents. All photographs submitted, however, must be taken in the British Isles. There is a separate section entitled Youth Class for photographs taken by children under the age of sixteen. The competition gives photographers the opportunity to enter all or some of four categories. First is the “classic view,” which should demonstrate the ‘beauty and variety’ of the British landscape. Second comes “living the view,” where photographs must show people ‘interacting with the outdoors’. The third category is “your view,” which offers plenty of scope for portraying what the landscape means to the photographer personally. Finally there is “urban view” which allows for photographs to be taken in cities and towns, but they must be above ground. In addition to the overall winner and winners in each category, there are several other awards. National Rail offers a “Lines in the Landscape” award for the best photograph showing the present-day rail network within the landscape (not underground). Then there is the Sunday Times Magazine Choice award, and for the first time there is the Calumet Photographic “This is Britain” award. Prize money totals more than £20,000; as well as being featured in Landscape Photographer of the Year, winning photographs are exhibited in an eight-week-long show at the National Theatre. It is indeed a prestigious affair. 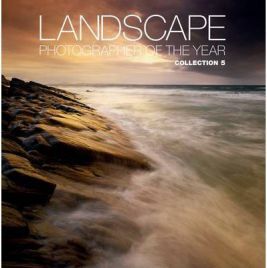 Landscape Photographer of the Year is printed in full colour on high-quality paper, which its contents fully deserve. The overall winner of the competition in 2011 was Robert Fulton for his Winter Field in Stirlingshire, a masterful study of snow-dusted trees at first light. In stark contrast, the Youth Class winner was Oscar Stewart-Packe’s photograph entitled Armchair, in which the rotting but subtly colourful chair sits in a derelict London house. These two works alone give an idea of the scope that the competition offers and the range of photographs that are included in this book. Most but not all of the eight judges on the final panel have strong connections with photography. As well as Charlie Waite himself, there was Nick White of Epson, Damien Demolder, editor of Amateur Photographer Magazine, Monica Allende, Picture Editor of The Sunday Times Magazine and Robin Bernard, Director of Bayeux. Also on the panel were David Watchus, Publisher at AA Media, the writer and actress Celia Imrie and John Langley, Director of External Relationships at the National Theatre. Landscape Photographer of the Year would make a superb present for any landscape photographer but also for anyone with a love of British landscapes, including urban landscapes. There is something for everyone here, from coastlines to rolling hills or city architecture, in all seasons and in all imaginable conditions of light. The photographs will inspire many a photographer and probably give lovers of the countryside plenty of ideas for new places to discover. It is quite simply a beautiful book that I know I could pour over for hours. No Comments on "Landscape Photographer of the Year Collection 5"